I’ve been a neglectful blogger this past week or so! I promised my kids last month we would “switch” their rooms and do a bit of redecorating. We allowed them to use a little money from their savings accounts (which they accumulate from Christmas/birthday money from grandparents) to let them make their rooms their own. It was well past needed… our house is on the small side for having 4 kids and they were a bit stuffed in like sardines, and had WAY too much “junk” that needed to be sorted out. My original plan was to do it in small stages throughout the summer, making it a long project. But last week I threw that idea out because I was SOOOOOooo tired of it already and just wanted it DONE. So I decided that I’d put all else aside for about 5 days and just get it done. Um. Yes. Things didn’t really go as planned. Things have been so crazy that I didn’t even get time to blog… BOO for that. 1.) Annabelle is a pill. Oh, I knew this already. But during a home renovation, even a small one like we were doing, she is just, well, a pill. Every time I’d go up to the bonus room to work on it, she’d sit at the bottom of the stairs and scream and cry until I came back down. The first few days of my works were done in 5-10 minute increments because of that. I then took to pretending to go “bye-bye” and really going upstairs to work, while big sister babysat downstairs. That worked mildly well. 2.) I am awful at estimating time. I was thinking a day for painting one room…. But neglected to recognize that the drywall needed fixed, the walls were super dirty and needed cleaned first, the baseboards had to be repainted, and we had a total of 3 colors (including 1 being the slanted ceiling paint) so trimming out each was painstaking. One day of painting turned into more like 4…. 3.) My kids are even less patient than me. I went into this thinking they would be excited to help, that since it was THEIR rooms we were redoing, they would be super cooperative and not complain about the work that went along with it. While they did have their moments of goodness, and did help…. let’s just say I totally over estimated their level of involvement in this project. 4.) I HATE PAINTING. I love the result… but ohmagoodness. I just do not have the patience for it. If I had a dollar for every time I whined, “Isn’t this good enough already?? ?” I’d be a rich lady. And yes, I fully admit, there was lots of whining coming out of my mouth. 5.) Multi-day projects are just not in the cards for us right now. I have no issue taking on a project for a day. Reorganize a closet. Do some task that needs to be done. But this spread out over multiple days thing just isn’t for me at this point in my life. I just have too many “normal” every day stuff to juggle. So all that normal stuff has gotten ignored… I have about 5 loads of laundry sitting on my bedroom floor that need to be folded and put away, and about that many that still need washed. My house looks like a tornado just went through it, quite literally. And I’ve yelled at my kids more in the last week than I probably have in the last year because I just want to pull my hair out and scream. So yes, for all of our sanity, we will be sticking into one-day max home projects for the foreseeable future. What’s the last big home project you’ve done? Do you enjoy it or are you like me and wish for the ability to hire it out? Oh, and pictures will come next week once we’ve cleaned/organized both rooms! The girls are finally getting excited since we can start putting things away!! I re-stained our kitchen cabinets – with no room to do it. I took all the doors, down removed all the hardware, and stacked the cabinet doors in the floor. The cabinets required cleaning, then deglossing, then staining, then putting this rub stuff on to give them texture, then a protective top coat. I only had room to spread out three or four cabinet doors at a time, propped up on the backs of two chairs (8 chairs = 4 doors). Got to the staining step before i realized they had to dry for 24 hours after the staining and another 24 after the top coat….. and I had 16 doors to do, plus the facing of the cabinets as well. so we had to live around laid out cabinet doors and the tools and the cleaning stuff and the cans of stain and gloss for what ended up being months – because I only had a few days each week to work on it. It was horrible. In the end, they turned out very nice and I am pleased with how they look. I would like to say next time I would pay someone else to do it, and do it quickly, but probably not. I'm sure that would be an expensive job! 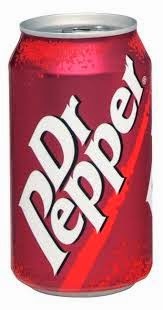 Hi Krista – Just responding on the Dr. Pepper thing. . . .I TOO stress drink . . .Mountain Dew. And, I'm diabetic. I've quit a few times, the last time being after KIDNEY STONES, ouch! And it's funny, but I rationalize the same way. . . I'm not drinking alcohol or smoking, so it could be worse, right? Always enjoy reading your blog! Thanks for sharing! !